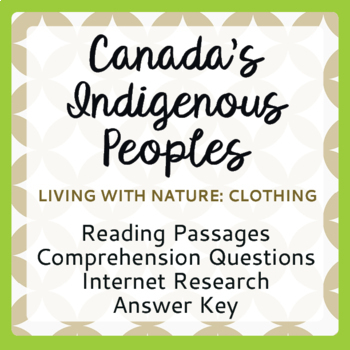 Canadian Social Studies History Resources MEGA BUNDLE of 25! 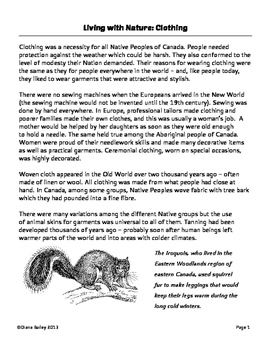 Canada’s Native Peoples - Living with Nature, Part 1: Clothing. Clear instructions are included on the printed sheet so that students will find the information they need easily. 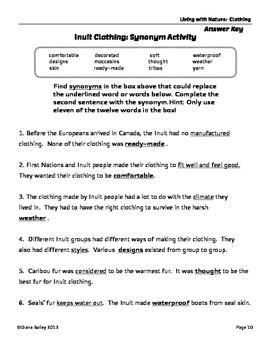 The website is well organized and easy to use, and written at a level most students will understand, with a few new vocabulary words to challenge them. There are four objective questions and 1 subjective question for each of the 7 regions. 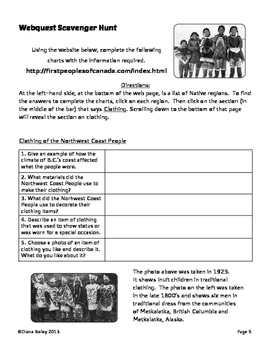 A complete answer key is provided for the three sections.